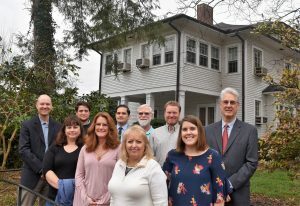 CURS staff in front of Hickerson House. Created in 1957, the Center for Urban and Regional Studies is one of the oldest university-based research centers of its kind. The Center’s mission is to promote and support, within The University of North Carolina at Chapel Hill, high-quality basic and applied research on urban, regional and rural planning and policy issues. The Center seeks to generate new knowledge of urban and regional processes and problems and ultimately to improve living conditions in our communities. This is done by involving the University’s faculty and graduate students in large, multidisciplinary research projects and smaller, more narrowly focused projects. The Center’s mission also includes promoting the use of the research it facilitates. Many public and nonprofit organizations have research needs such as collecting and analyzing basic data on urban and regional conditions; surveying clients and prospective clients and interpreting their needs; defining and assessing problems; evaluating the impacts of programs; and forecasting urban and regional trends. The Center matches these needs with the interests and expertise of its Faculty Fellows—an interdisciplinary group of UNC scholars who are leaders in their respective fields. The Center conducts a wide variety of basic and applied research sponsored by foundations and federal, state, and local agencies and governments. It has studied urban crime, housing and community development, poverty, natural hazards, coastal planning, sea-level rise and climate change, environmental protection, land use, growth management, economic development, and transportation issues. 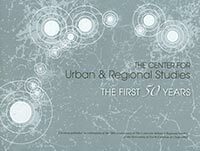 Not only does the Center enjoy a widespread reputation for research excellence, its recommendations frequently influence urban policy and planning decisions throughout North Carolina and the U.S.
Read more about the history of the Center for Urban and Regional Studies. More recently the Center launched the Program on Chinese Cities and created a consortium of scholars with Peking University to study urban growth and planning issues as they relate to the extraordinary growth of China. In 2017, the Community Histories Workshop (CHW) joined CURS. CURS has expanded its support of the humanities by assisting CHW in capturing and archiving community histories. These histories can be key components of economic and community development efforts, such as the adaptive reuse of historic sites. 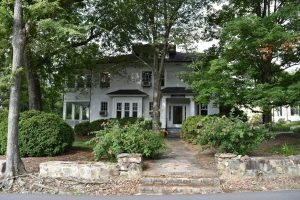 Located at The University of North Carolina at Chapel Hill, and within the historic district of the Town of Chapel Hill, the Center is adjacent to the central campus and all its resources. We are easy to find and welcome visitors!